for sale by owner real estate sign and beautiful house. When I think of selling my house the first thing I think about is equity. Equity is defined by one of the many dictionaries out there as “The value of mortgaged property after deductions of charges against it”. In other words, how much money you walk away with when selling your house after it is paid off. Equity can be built in a couple of ways. One way you build equity is by paying down your mortgage. That’s like a savings account. Another way one can build equity is time based. Most real estate appreciates over time. So if you buy a house and live there for 15 years all the payments you have made paying down your mortgage is equity and if your homes value has increased, which it likely has, that’s even better. For example if you have lived in your house forever, unlikely, and have paid off the mortgage you get to keep it all. Yay for you. If you bought your house last year and are selling because you decide you bought the wrong house, or whatever reason, you might not get anything. In fact you might have to pay to sell your house if you hired a real estate agent because you have to pay the agent. There is not likely to be a lot of equity in your house depending on how much you put down when you bought it. I have lived in my house for 11 years now. I negotiated a good price when I bought it, put down 16% and paid all of my own closing costs. Only putting down 16% means I had to pay PMI, or private mortgage insurance, for a few years so that cut into my equity somewhat. My wife and I plan on leaving the area when we retire in…not sure yet how many years but hopefully not long. So the other day I was pondering what it will be like when I sell my own home. My own, I’ve sold lots of homes for lots of people over the years, but what about when I sell my own home. So I have been paying the mortgage down for 11 years. Add that to the 16 % I put down and the rise in market values. That’s a nice chunk of equity. That would be added to our retirement account so it’s also a very important chunk of equity. That chunk is as of today, if I sold my house, $47,000. We’re not selling today but if we were that would be our profit minus any expenses. The selling expenses are cheap, about $620 for the closing fee and title insurance. Unless I have to pay a Real estate agent. If I was going to pay a real estate agent to list it on the internet at today’s value it would cost me another, ready for it, $8400. That is a nice payday for someone to do something I can easily do myself. It’s also something you can easily do yourself. Yes, I am a real estate agent and I know how to do everything that needs to be done. But, there are many brand new agents that are winging it just as I did when I was a new agent. Two points to the fact that I am a real estate agent. The first point is I know how easy it is to sell a house, in any kind of market, be it a buyers market or a sellers market. For anyone. That’s the big “secret” in the real estate industry we don’t want you to know. If a buyer comes to me with an agent that they have a contract with I may consider but I am for sure going to negotiate with that agent. I may offer them 2%, or 1.5%. The buyer will always know what I am doing so everything is in the open and disclosed. If the agent does not accept my deal then the buyer may lose a great house, due to his agent. Yes, when I think of selling my house I think of profits. I don’t mind paying someone to help but I’ll pay them something within reason. You can sell your house yourself too, and keep more of your profits. I know what a real estate agent does for you, because I am one. New agents are taught all the right things to say, all the reasons you ought to have an agent to sell your house. Some are legit, but most you can easily do yourself. And be happy about the money you save. I could go through all the reasons one by one and break it down but let’s come at it from a more entertaining angle. An argument. 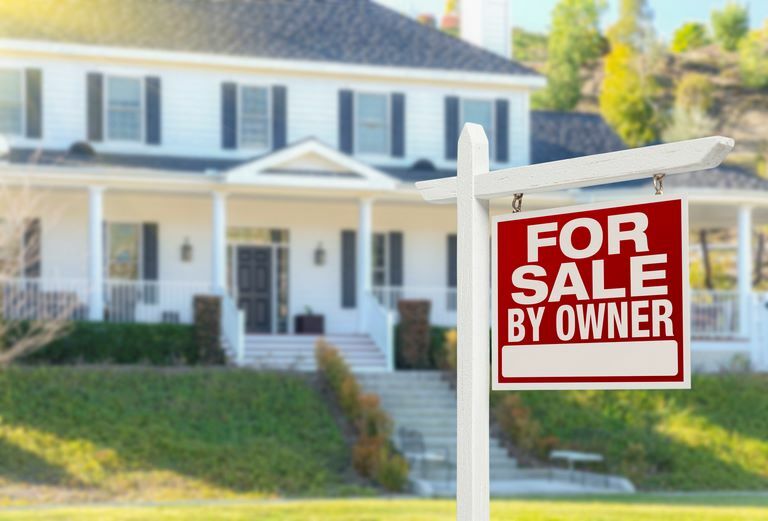 This post is being written on this day because I came across an article titled “Homes for Sale By Owners: 5 reasons Why FSBO Sales Fail“. You can guess who wrote the article. I had to read it since I know you can easily sell your house yourself. The reason you would want to sell your home yourself is to keep the thousands of dollars you’ll be giving someone else to do it for you. The reason the real estate industry wants you to believe you can’t sell For Sale By Owner is because they want your thousands of dollars. They’ll do anything to convince you. They’ll say anything to get it. -The biggest argument always is you’ll pocket more money using a real estate agent. I just think that’s absurd. Examples used in this case are the average FSBO price was $185,000. The average home price when represented by an agent was $245,000. That’s the average overall. They never compare homes, or properties. Those figures may very well be true but don’t mean anything. That tells me more people selling $245,000 homes used agents. There’s no way there’s going to be a $60,000 difference in 2 comparable homes in the same market in the same location. absolutely free of charge or at a very nominal cost. The article goes on to say what a real estate agent does for you is share your home with other agents and their own clients. Your home is shared with other real estate agents via the multiple listing service or mls. And that’s true, but in most cases these days consumers are searching themselves on sites like Zillow and Trulia. When they find homes they want to see they call the number or call an agent. Real Estate agents don’t spend nearly as much time looking for homes for clients as it used to be. Consumers are finding their homes themselves. If you really feel the need to get your For Sale By Owner on the mls there are companies that will do it for a few hundred bucks. -For Sale By owner homes might be priced wrong. True, but so may homes priced by a real estate agent, especially an inexperienced one. Don’t price your home wrong. It’s really not that difficult. If you feel you can’t do it hire an appraiser, or interview a real estate agent. Interviewing an agent doesn’t mean you have to hire one. You could underestimate or overestimate on how much to spend on getting your house ready. True, but so could an agent. This is just math. Once you know what your house could be worth get it in order. You won’t get your money back out of a full kitchen remodel but there are things you do to spruce it up. Painting, doing any obvious repairs and cleaning are all basic things that need to be done. Your house should look nice, it’s as simple as that. If it needs updating, update it or price accordingly. -Showings are a drag? Really? Is that really the best argument to hire a real estate agent? Your agent isn’t the only one that shows your house. If your willing to work with buyers agents they’ll be showing your house. And if you work with a buyer’s agent they’ll do all the paperwork. If you don’t want to work with buyers agents then you show your house. Yes, it’s a little bit of work but so is anything worth doing. -Finally the favorite of the industry to try and convince you For Sale By Owner is a bad idea, paperwork. Again you may have to do a little research, make a few phone calls and spend a little money on contracts. A lot more paperwork is involved when using a real estate agent because a lot of that paperwork is designed to protect the real estate agent. All you really need is a contract and any disclosures your state requires. Or you can simply use a quit claim deed. What a real estate agent does for you is substantial. The question, is it worth the thousands of dollars it cost to use an agent. You can easily sell your home yourself. keep your money.